What is the Difference Between a Cesspool and a Septic Tank? 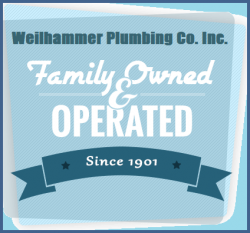 | Weilhammer Plumbing Co. Inc.
Cesspools and septic systems are essentially the same, as they are both used for waste management when a connection to a centralized municipal sewer service isn’t possible. However, they have key differences that matter in terms of performance, practicality, and convenience. Continue reading to learn more about both waste management systems, including their primary differences and which system is best for your home. What we all know as the modern septic system has actually been in development for more than a century. It can be dated back to the early 1900’s when the septic tank was first invented in England. In contrast, the cesspool is a lot older, and can be dated back all the way to ancient Roman times. In fact, many theories suggest that antique cesspool waste disposal systems began in Babylonian times when pipes were first invented. Today, nearly 25% of residences in North America rely on septic systems for private sewage disposal. Aside from these numbers, there are still a nominal fraction of North Americans that use cesspools instead of septic tanks. Although one system is more outdated than the other, they both provide the same purpose of separate waste, safely and conveniently. 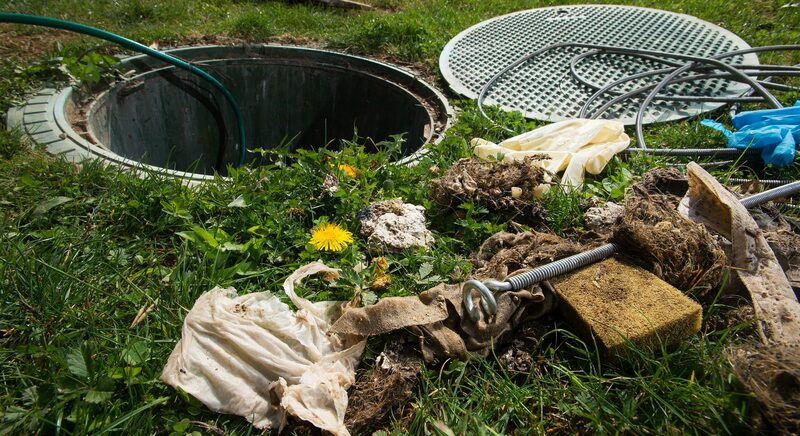 Cesspools and septic systems are a means of private waste disposal in areas that do not have access to a central municipal sewer service. These systems are designed to separate three types of organic waste, allowing for strategic sewage diversion and disposal. The three types of organic waste include scum, sludge, and effluent. Most professionals and consumers will insist that septic systems are a much better operation than cesspools. First of all, cesspools are not integrated systems; they are rudimentary in design. They are basically perforated concrete or block rings that are buried underground. They do not spread effluent to the surrounding ground soil, and sludge piles up at the bottom. Overtime, cesspools have to be pumped to remove the sludge buildup, and sometimes, they have to be relocated altogether because the surrounding soil becomes too saturated with wastewater. Septic tanks are well-designed systems that use an elaborate method of distribution to safely and efficiently divert wastewater to a series of perforated pipes. This allows for a widespread distribution of effluent, and provides an eco-friendly alternative to the outdated cesspool setup. Furthermore, they are designed with a closed tank environment that safely contains bacteria, which helps breakdown scum waste. And although septic systems also require periodic pumping, the frequency is much lower and the process is much easier, compared to cesspools. Call Weilhammer Plumbing Co. Inc. at 317-784-1870 when you need a licensed Indianapolis plumber you can trust for quality septic system service and repair at an affordable price. We use a comprehensive approach to plumbing diagnostics, with the help of state-of-the-art equipment and the latest technologies in the plumbing industry. Request a free estimate, today. This entry was posted in Plumbing Repair and tagged cesspool facts, difference Septic tank cesspool, Empty Septic Tank, Indianapolis plumber, Septic System cesspools, Septic System plumber Indianapolis, Septic System Repair. Bookmark the permalink.